As a sports dietitian and endurance athlete with 30 years of experience, I've made my share of nutrition mistakes that have negatively affected my performance. But I've also done far more races where my nutrition plan helped me achieve a PR or age-group award. Personal experience plus a good understanding of the science behind race nutrition is the best recipe for success. 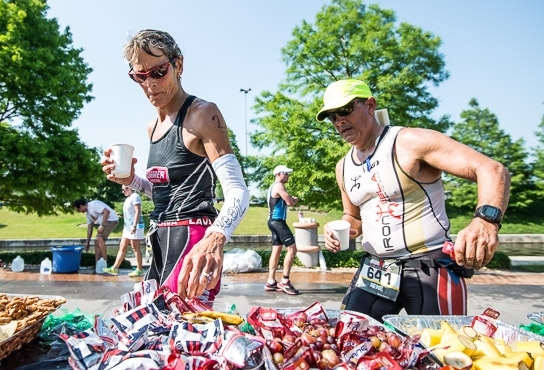 To get you started, here are three key concepts to having a solid race nutrition plan. Practice, Practice, Practice! Your race nutrition plan will be MOST effective if you practice it ahead of time. This means experimenting with various nutrition products or tolerated foods prior to and during your long workouts. You need to know what your GI system can handle while swimming, biking, and running. You also need to practice the timing of your nutrition. How close to your early morning workout can you eat, like you will on race day? What should you eat on the bike that won't give you GI issues on the run? When is the last time you should eat on the bike before getting to T2? Practice makes perfect! When I create race nutrition plans for my athletes. I have them practice it several times to make sure it works for them. That gives us plenty of time to tweak the plan to make sure it's perfect for race day. Think of carbohydrates per hour instead of calories per hour. Many athletes training for long distance events think they should aim for a certain number of calories per hour. While calories are important for long distance races, the amount and type of carb you consume per hour is actually more important. Dozens of studies have shown that adequate carbohydrate intake before and during endurance activity improves performance. But I find many athletes are not getting enough. The most recent research suggests 60 – 90 grams of carbohydrate per hour is best for endurance races that last longer than an hour. Carbs during exercise help to maintain blood glucose levels and will increase the rate of carbohydrate oxidation, allowing you to go longer and possibly faster. You can read more here. The form of carbohydrate you consume during your race doesn't matter - find what works for you. Carbs come in different shapes and sizes. We can get them through gel's, bars, gu's, rice, sweet potatoes, sport drink, etc. Studies show it doesn't matter to the muscles whether you get yours from sport drinks, bars, or real food; the important thing is that you get them and that you get enough. Some of my athletes love gel blocks, others hate them. Some love real food, others don't like the hassle. It's really personal preference as to the form that your carbs come in so find with what works for you (don't confuse form with type of carbohydrate which refers to monosaccharides, disaccharides, etc. - more on that later). 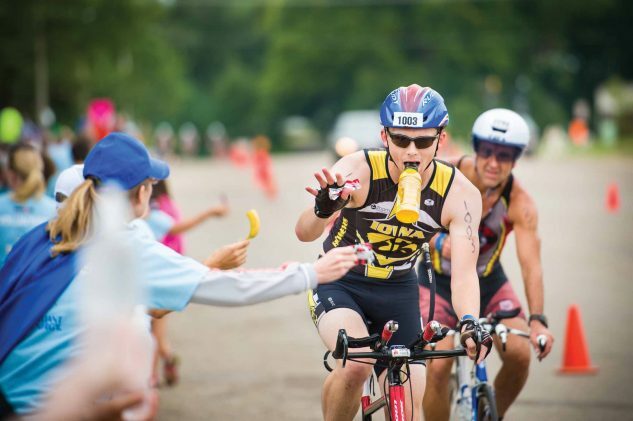 Race nutrition can make or break a race so spend some time learning about it OR hire a Registered Dietitian with experience in endurance sports to do it for you (like me!). Help me with my race nutrition!